Any hints on where to even start looking at the feasibility (effort, time, etc.) of porting for BB OS 7? Does BB OS 7 has an OpenGL binding for Java? BlackBerry OS 7 has Java bindings for Open GL ES 2.0. Then new OS 7 devices to be released will have hardware accelerated graphics. We are already using jPCT-AE (and Bones) for our Android apps, and would like to do the same with BlackBerry devices. Does anyone have any ideas on how to proceed with this? 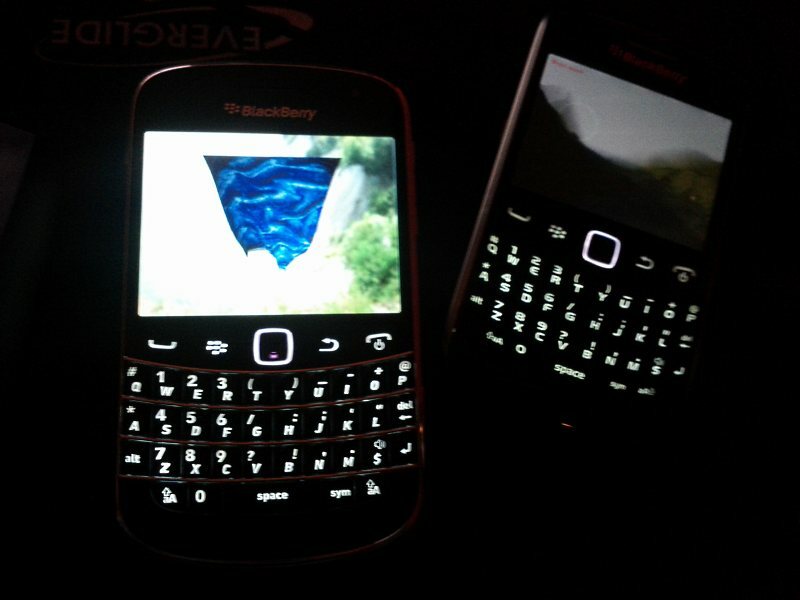 There are currently no other 3d engine/frameworks for BlackBerry and we prefer to stay as close to jPCT as possible. Does it have support for ES 1.0 and 1.1 as well, i.e. does it come with interfaces for javax.microedition.khronos.opengles.GL10 and javax.microedition.khronos.opengles.GL11? jPCT-AE doesn't use many Android specific classes. It uses (of course) the OpenGL related stuff, Bitmap and Drawable and similar for the textures, FloatMath, Matrix and maybe a few others. As long as the BlackBerry SDK offers the usual Java classes like Android does, it might be possible to create a thin layer between jPCT-AE and BlackBerry that implements all the classes/methods needed on top of the BlackBerry API but following the Android signature. That's what i did with the JOGL support for the desktop version for example. jPCT (desktop version!) is lwjgl-based. To support JOGL, i simply implemented all the stuff that i use from lwjgl on top of JOGL. It there any API reference to look at without downloading the SDK? You can find GL10, GL11 and their extensions and GL20 info in the links to the sub-interfaces on the same page. For the wrapper, do you mean create the Android specific java classes as wrappers over the BlackBerry classes? Can you elaborate more on this type of solution? Yes, that's what i mean. That should be pretty easy for the most part. Here's a brief overview of all(?) android specific classes that jPCT-AE uses. Of course, it uses only a subset of method from most of them. I can post these in more detail, if you are interested. The OpenGL ES 1.x interfaces are the same thing, so there should be nothing to port in that regard. android.opengl.GLSurfaceView (only setEGLContextClientVersion(2) used to enable ES 2.0 and only in the AAConfigChooser). I've just noticed that java.util and java.lang on BlackBerry seem to be a bit on the Java 1.1 side...which is pretty sad. At least some basic stuff like Map/HashMap, List/ArrayList and such will be needed in addition. Maybe there's some third party library that already provides those? although the topic is a bit different (Tablet OS Application Development), RIM has developed a library for porting android applications to the playbook tablet. You completed a blackberry port? Awesome. for a soon discontinued platform. Ah right. I'm sure it still will be around for quite a while still. Anyone tried that android emulator and JPCT? Anyone tried that android emulator and JPCT? A little video showing a comparison between jPCT-AE and jPCT-AE/Aralia. Sorry for the low image quality, but i couldn't do any better with my equipment.